The oldest city in Siberia was founded in 1618. Population is over 549,000 people. 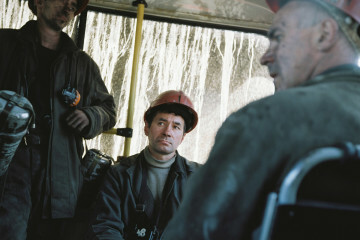 The city of metallurgists and miners was one of the centers of the miners’ strike in 1989 (the famous "recumbent strike" started on the Kuzbass and covered mines from the east to the west of the USSR within a few hours). Currently, the city has such industrial giants as Evraz WSMP (West Siberian Metallurgical Plant), "Evrazruda", Novokuznetsk aluminum smelter, "JUzhkuzbassugol", Kuznetsk Cement Plant and others. Economic development of the city in the 2000th provided Novokuznetsk the 13th place in the ranking of "30 best cities for business," compiled by the Russian edition of «Forbes» in 2013. The reverse side of the coin – the 4th place in the ranking of the most polluted cities in Russia, according to the Ministry of Natural Resources and Ecology of the Russian Federation in 2011.